Surgery for prostate cancer is called radical prostatectomy (RP). It involves the complete removal of the prostate gland and can be performed via a standard open incision or keyhole / laparoscopic. Keyhole or laparoscopic radical prostatectomy (LRP) is a minimally invasive technique that can be achieved with or without the assistance of an expensive robotic machine. When comparing keyhole / laparoscopic with open radical prostatectomy the benefits / advantages include improved visualisation, reduced blood loss with almost elimination of blood transfusion, reduced post-operative pain, fewer wound complications, a shorter hospital stay and earlier recovery with a more rapid return to normal activity and work. Pure laparoscopic prostatectomy without robotic assistance is performed by only a handful of surgeons in Australia, partly due to the intensive training that is required to become proficient and training centres for this technique are located primarily in Europe where it was pioneered. Dr Louie-Johnsun was trained by one of the world pioneers and authorities on laparoscopic prostatectomy who has one of the highest volume of cases in the world. 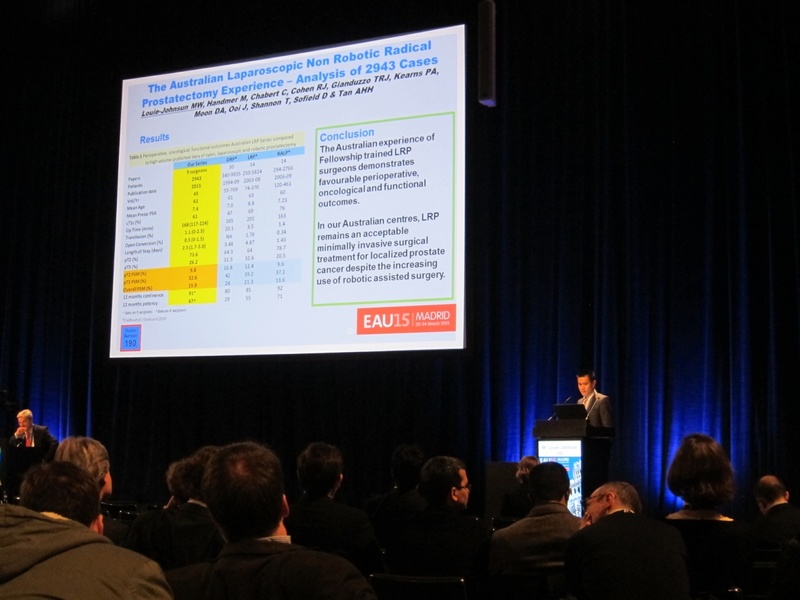 Dr Louie-Johnsun has subsequently presented at national and international meetings and has published his personal results on laparoscopic radical prostatectomy. He is active in the clinical training of future Urological surgeons in the technique of laparoscopic radical prostatectomy and has presented and published Australia’s first series of training in laparoscopic radical prostatectomy. However, should patients wish to consider robotic assisted laparoscopic radical prostatectomy, Dr Louie-Johnsun has an appointment at the Sydney Adventist Hospital (SAH), Sydney and can make arrangements for your robotic surgery.